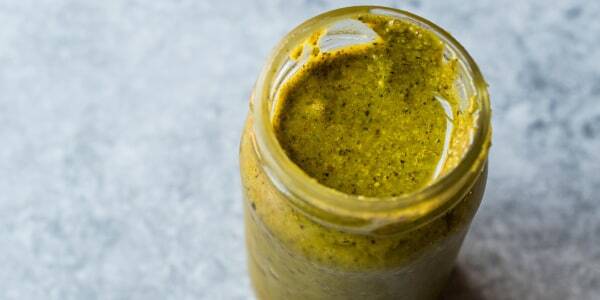 Make your own almond butter, cashew butter, chocolate-hazelnut spread and pistachio butter with our primer. 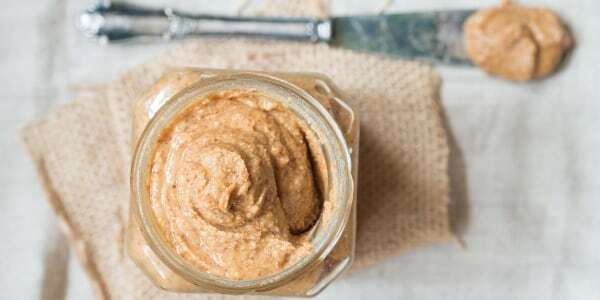 If you’re like me and nuts about nut butters, but sick of spending upwards of $14 for a 16-ounce jar, here’s a primer on making your own homemade versions. Not only will you save money, you’ll also be able to control the levels of sodium and sugar, and can completely cut out the preservatives that are added to some commercial brands. Equipment: First, you will need a heavy-duty food processor or blender. 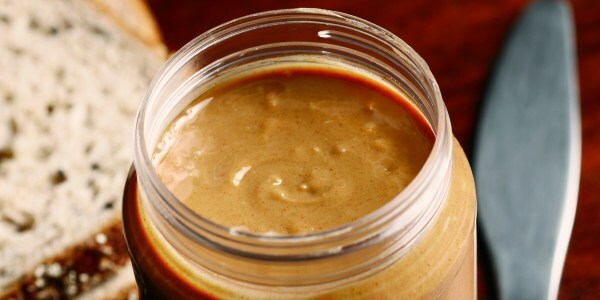 Using a blender to make nut butters requires that you use a tamper, so I generally opt for my food processor. To roast, or not to roast: While you don’t need to roast peanuts, almonds or other nuts before turning them into butter, heating them up will bring out the natural oils and give them a richer flavor. You can simply heat them on a baking sheet at 350° until lightly toasted and fragrant, about 10 minutes. 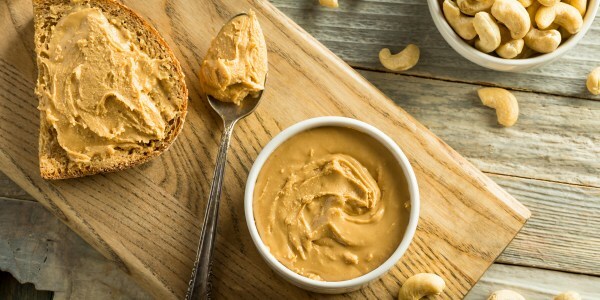 Follow these easy instructions for the creamiest, dreamiest spread — no matter what kind of nuts you have on hand. We go through tons of almond butter at our house. Sometimes I roast the nuts first, but I often blend them up raw, which makes for a very mild flavor. Almonds are highest in protein of all nuts, with 6 grams of protein per 1-ounce serving. They’re also a winner in the fiber department, with 3.5 grams a serving, making them a great tool for weight loss. Almonds are also a surprisingly good source of calcium, boasting 76 milligrams per serving. Relative to other nuts, cashews are fairly low in fat, with only 12.4 grams per 1-ounce serving. And with 1.9 milligrams of iron per serving, they have nearly as much as a 6-ounce chicken breast. This is my homemade version of Nutella — that magical chocolate spread that gets children to eat whatever it's layered on. Nutella is really delicious, but sugar is the number one ingredient listed (palm oil is the second) on the label and it’s flavored artificially. It’s really easy to make your own, and you can adjust the sweetness to please your palate. Hazelnuts are low in saturated fat (only 1.3 grams per 1-ounce serving) and are the richest source of folate of all tree nut varieties. Folate is a B vitamin that plays a key role in preventing birth defects, so it’s a must-have nutrient for pregnancy. 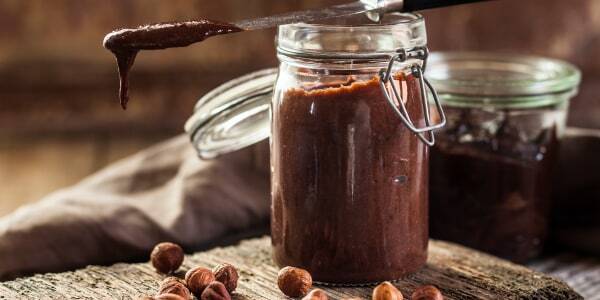 While shelled pistachios aren’t cheap (about $18 for a pound), you’ll certainly still save money by making your own nut butter. Pistachios are loaded with potassium, which is an important nutrient for regulating blood pressure and is also key for athletes. Since this little green nut is relatively low in fat — only 12.9 grams per 1-ounce serving — I find that you need to add a bit of coconut oil to get it really smooth. I use refined coconut oil (versus virgin) because it doesn’t add any coconut flavor to mask the delicious pistachios. You could also use olive oil.